Only in Japan -- Consumption-Driven Hiking. Hiking in Tokyo. What's so special about it? How does it differ from hiking Hong Kong Trail or Greenwich Park in London? Its essence is condensed "in Tokyo" part -- a city, driven by hard-consumption and idea of materialism. 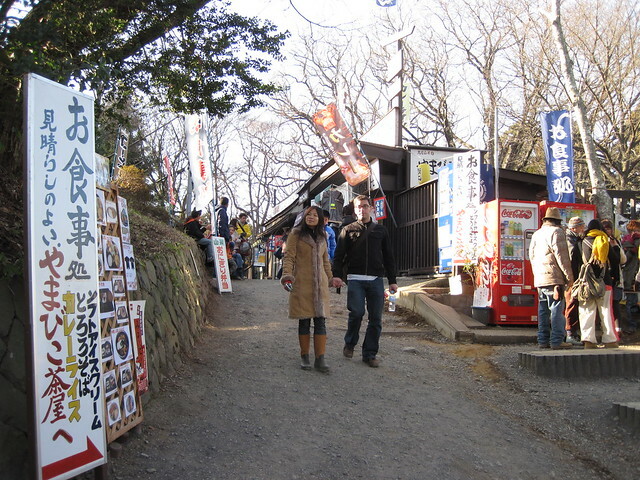 Mount Takao, or Takaosan (599m high), is located on the west end of Tokyo. 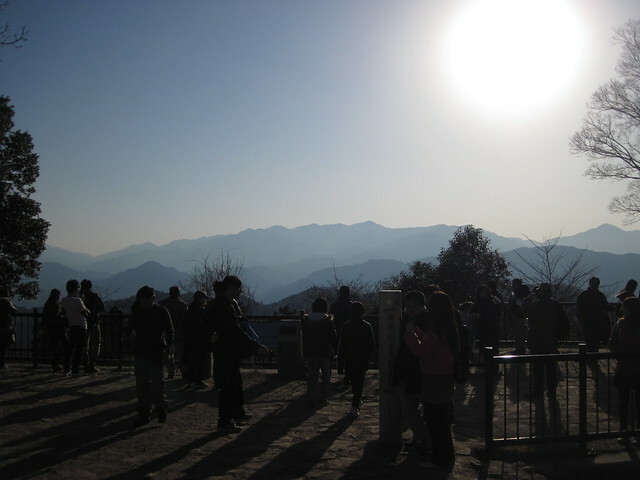 The mountain is well-known for its serenity and great mountainous scenery. 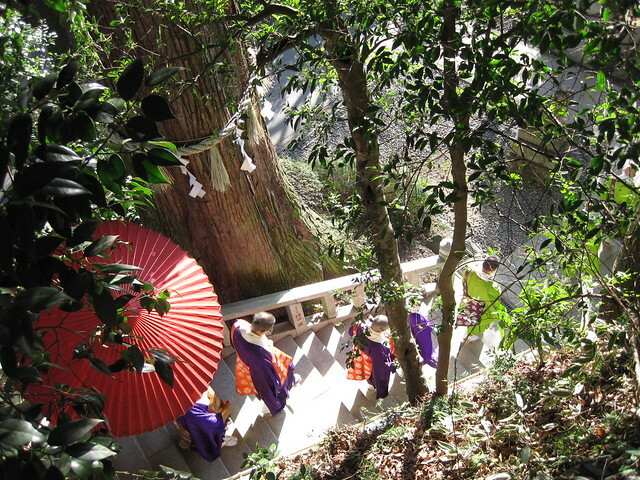 Ever since Takaosan was featured as a three-star destination on Michelin Voyager Pratique Japon in 2007, the mountain has become a strong magnet for nature-seekers -- attracting the largest number of hikers in the world. 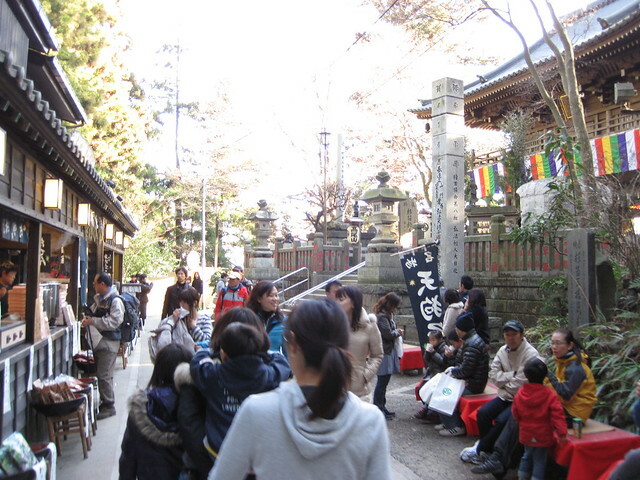 According to Takaosan's official website, there are total of 7 million hikers in the world, and 2.6 million of them hiked Takaosan. The popularity of Takaosan can be summed up to 3 points, 2 being quite normal and 1 being edgy. Exposed to the beauty of semi-rural Japan. It gets better during autumn -- leaves are turning bright yellow and red, creating a great color contrast of the mountain range. 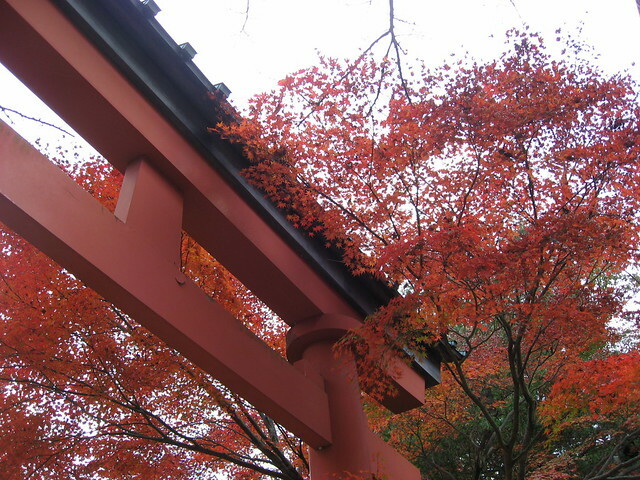 Only 47 minutes train ride from Shinjuku, the center. And here comes an edgy one. When you are about to hike a mountain, you want to be "stuffed" in many ways -- you stomach is better be stuffed to endure the walk, and you bag is also better be stuffed to wipe your sweat, wet your throat, etc. 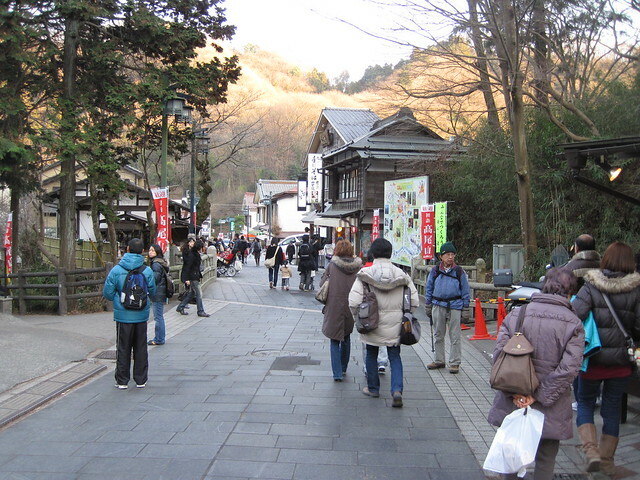 But hiking Takaosan is definitely an exception. Shops are all over the places. As soon as you exit from Takaosanguchi Station, this is what you encounter first. 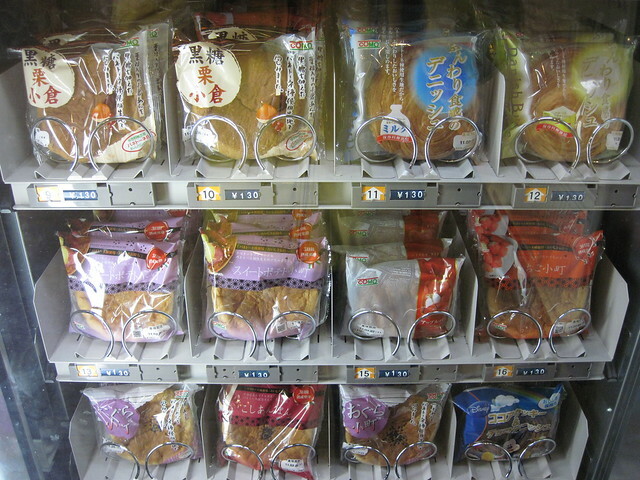 A bread vending machine for those of you who missed your breakfast. Take a walk for 15 seconds and what's next? 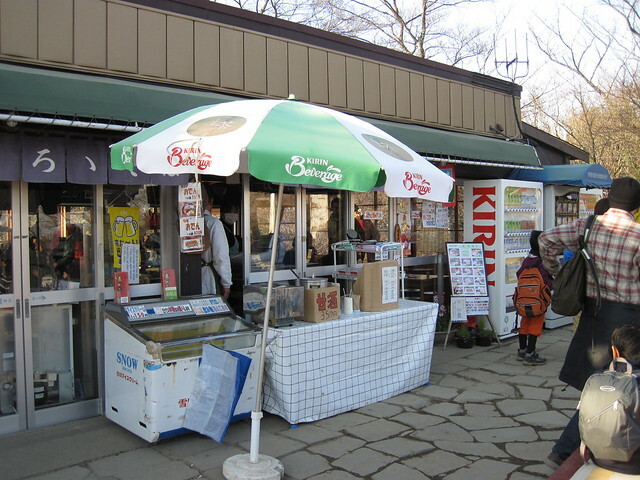 A soy-source flavored rice dumpling vendor. 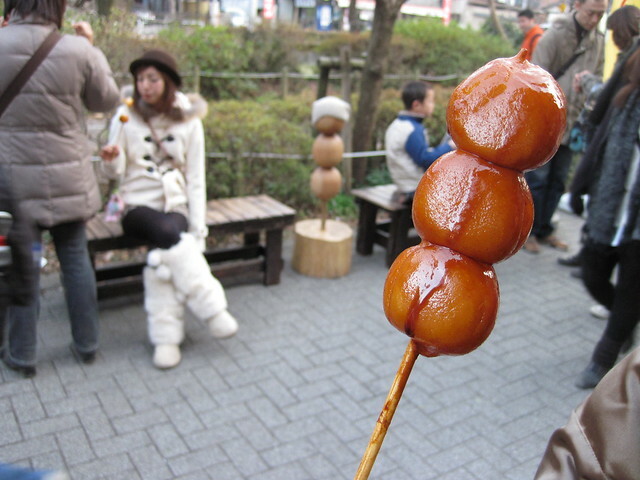 Then, a bunch of soba (buckwheat noodle) joints follows. While climbing up -- alleys of shops for nibbles/soda/beer/souvenirs. 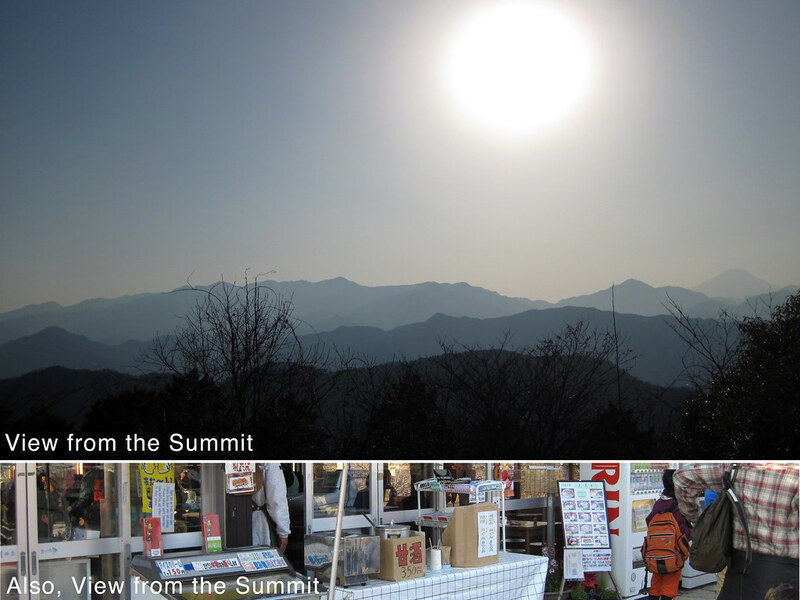 When you reach the summit, you are greeted by signage, spouting "dining", "lunch box", "ice cream". Icy draft beer is also available. One of a few locations in Tokyo where you can get shopping/eating/drinking/exercising done at the same time. Damn efficient.